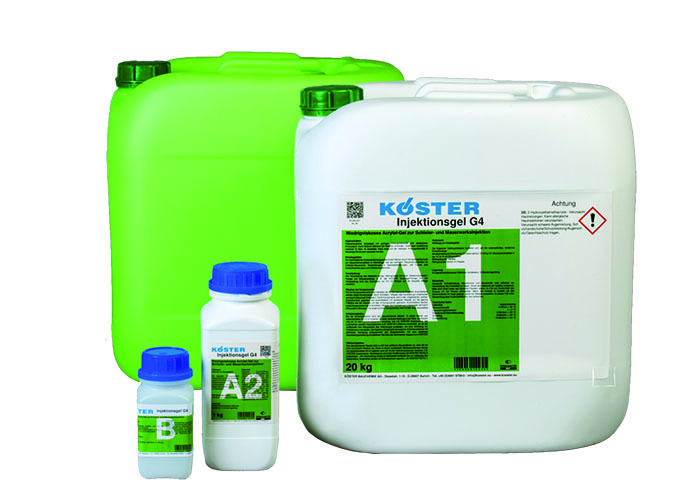 Koster Injection Gel 4 is a low viscosity acrylic gel for curtain injection and injection into masonry. Suitable for waterproofing belowground construction elements on the outside by curtain injection. For injection into full brick masonry in order to seal the mortar joints against water ingress. Can be applied in special waterproofing projects, like tunnels, shafts and void injections.